If you have skype installed you can select the link below to call Becca Teers DIP CBH MNCH (Reg) CNHC (Reg) GHR. Hello and thank you for taking the time to view my profile. I am a Cognitive- Behavioural Clinical Hypnotherapist, Certified NLP Practitioner, Holistic Therapist and hold a certificate in EMDR Therapy & Coaching. 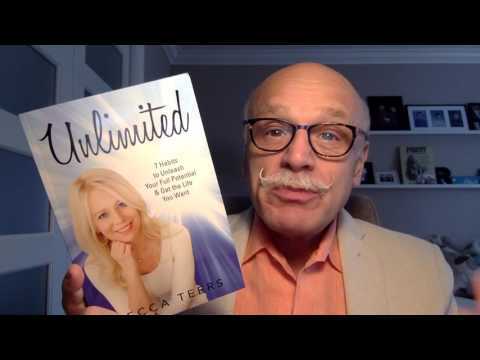 I am the author of the book Unlimited; 7 Habits to Unleash Your Full Potential & Get the Life You Want. I am passionate about helping my clients to overcome limiting beliefs and to empower them to make positive change. I use effective techniques such as Cognitive Behavioural and Advanced Hypnotherapy Techniques, NLP and EMDR in my work with clients. I fully enjoy helping and empowering my clients to achieve their goals and full potential in their lives. I have a strong belief in the body/mind connection and the role that the mind can play in healing the body. You will get a quality audio recording with every programme or session with me, as I believe in the power of repetition to help you change your mindset or habit positively and permanently. You will have this recording for life and can listen to it anytime you need a 'top up' of your new mindset, behaviour or habit. Enhance performance in the workplace- particularly in sales and public speaking. I help people who are ready for change and want to start living successful, happy and fulfilled lives. I have four London clinics; East Dulwich, Mayfair, Triyoga In Camden and Liverpool Street. I can also work with clients via phone or Skype. I have been a Holistic Therapist and have worked in the health and wellbeing area for over 20 years. I founded and have run Therapy, my Holistic Salon/Day Spa in London for the past 16 years. I started my career as a Beauty Therapist, directly after high school, and soon also became interested in Holistic Therapies, studying many different types of massage, bodywork & therapeutic treatments. I am a Reiki Healer, Reflexologist & an Energy Healer. Over a decade ago I became really interested in the human mind and it’s huge (and often untapped) potential to positively effect people’s lives. At this time I started personally experiencing, researching and training in the techniques that I use today. I look forward to working with you to help and support you to make positive change in your life! I trained as an NLP Practitioner with PPD Personal Development in 1998. I gained my Cognitive Behavioural Hypnotherapy Diploma with the UK College of Hypnosis & Hypnotherapy in 2011. I am qualified in The Austin Stop Smoking In An Hour Technique, Past Life Regression Therapy and the Sheila Granger Virtual Gastric Band Programme. I hold a certificate in EMDR in Therapy and Coaching. I am a member of the CNHC (Complementary & Natural Healthcare Council) and registered with both the GHR (General Hypnotherapy Register) and the NCH (National Council For Hypnotherapy). I specialise in weight loss hypnotherapy with the Virtual Gastric Band Programme, giving up smoking with the The Austin Stop Smoking In An Hour Technique. I work with clients to develop healthy lifestyle habits such as reducing alcohol, sugar, implementing regular exercise, dealing with insomnia, confidence issues, performance and phobias. I also work a lot with clients who suffer from anxiety, depression, stress and traumas. For phobias, confidence, insomnia, habit change, anxiety, stress, depression, trauma and other issues, most people get great results from three to six sessions, sometimes less, sometimes more, depending on the specific situation. I offer courses of 3 sessions, this also includes a personalised recording for home use, plus email support in between sessions, suggested reading/resources & 'homework' given in between sessions to reinforce and enhance the positive change. I also teach you some 'take home' practical & simple tools and techniques to help empower you in your life. Including initial 1.5 hr session, two follow-up 1 hr sessions and an audio recording, homework, suggested reading/resources & email support. Discounts are available for teachers, NHS staff, OAP's and students- please ask! Self-care - why is it important? Alcohol... Is your drinking getting out of hand? How hypnotherapy treats habits like smoking? Email or call me and we can arrange a complimentary phone chat/consultation to discuss what you need and decide if hypnotherapy is right for you at this time. If we decide yes, we can set up an initial session in person in one of my London based clinics or via Skype if more convenient for you. "A serial dieter since my teens, I had always struggled with counting calories and bland diet regimes until Becca completely changed my approach to food and to weight loss. Despite being what I considered to be a healthy eater, I could never understand why I continued to gain weight rather than lose it. Becca's gastric-band hypnotherapy completely reprogrammed my sub-conscious so that I was able to self-limit my appetite and portion sizes, as well as completely stop grazing in between meals. Willpower was the key rather than changing my actual diet and because I could eat food that I liked and that suited my lifestyle, I was able to maintain it over a prolonged period of time. Becca also provided me with a recording that was specifically aimed at encouraging me to exercise daily to complement the reduction in portion sizes. The result was that after just 3 or 4 sessions I had very quickly lost 10 lbs which I have continued to maintain! Gastric-band hypnotherapy was a complete revelation and I would highly recommend Becca- dieting has never been such a pleasure!" "Having suddenly put on weight over a relatively short period of time, I felt very vulnerable and needed a rudder on my eating habits when I had the opportunity to work with Becca. She held me in this and explained very clearly what it means to lose weight through the Gastric Band method but via hypnotherapy. For me this was a fantastic genius way to find myself again. The thought of putting my body through surgery to achieve the same thing, felt totally unnecessary. So I was very excited about trying it out. Becca was fantastic, she was very supportive and professional of me in my process and I began to lose weight. What I really like about the Gastric Band hypno' is that it does not involve dieting or eating especially different foods. The emphasis is more on lifestyle changes which I experienced as eating for joy and changing my relationship to food. Thank you Becca." "I really enjoyed the hypnotherapy course. It was very relaxing and Becca put me at my ease. I found the effect was mainly in being more mindful of what I eat and taking my time to realise that I had eaten enough. I would thoroughly recommend the Virtual Gastric Band Program." “Until I tried the Healthy Habits Program exercise had been sporadic in my life and I’d never stuck to anything for more than a few weeks. I’ve now developed a love for running, which I never thought possible. I can’t believe how much I enjoy putting on my trainers and heading out. I actually look forward to it and feel amazing during and after! I’ve lost inches from everywhere and in my forties I feel and look better than I did in my twenties!! "My daughter, Elliona, had been petrified of flying for 5 years, making our trips back to the UK from where we now live in France very difficult. 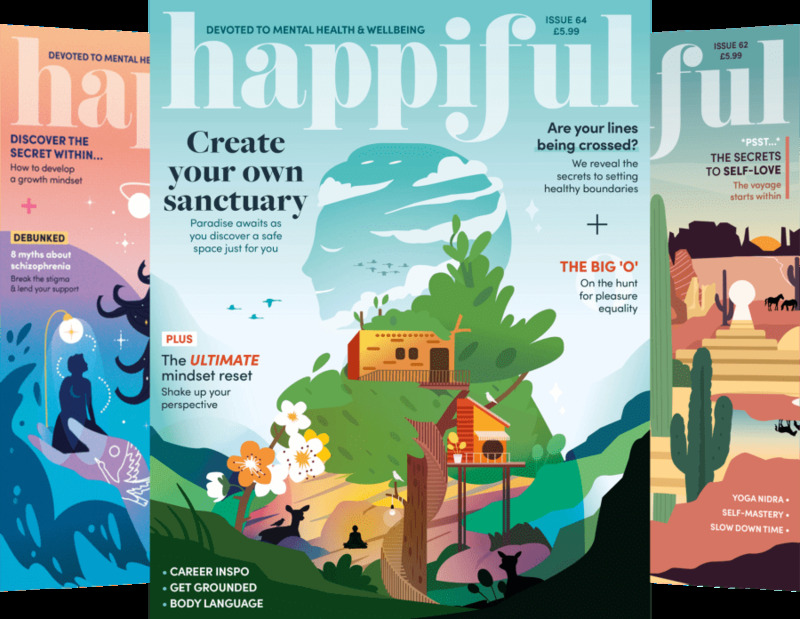 After just one session with hypnotherapist, Becca Teers and a recording that Elliona subsequently listened to every night for 2 months, her fear disappeared. We are now thrilled that she can now get happily and comfortably on the plane with no fear at all. We could not be happier with the successful, rapid and positive change that our daughter has experienced, with only one session and the audio recording." ‘I’d been suffering on and off from insomnia for several years prior to last year when it became unbearable. My stress levels were sky-high because of work overload and at the point that I sought help from hypnotherapy I’d not slept for more than a couple of hours per night for a fortnight. My personal and professional life was suffering and I was really at my wit’s end. I read about some success stories where a couple of cases of insomnia were cured by hypnotherapy and decided to give it a try. After three sessions I am now sleeping soundly every night so far! I can’t believe it – such a relaxing therapy is so powerful! Another passion of mine is writing. I have written many articles on holistic health and beauty in the past and continue to do so. My first book- a self-help manual entitled "Unlimited- 7 Habits To Unleash Your Full Potential & Get The Life You Want" is now out and available on Amazon in Kindle and paperback form! !